I know I’ve been dragging out this master bath reveal. Sorry about that. There are just so many things I want to say that it seemed only reasonable to break them up! 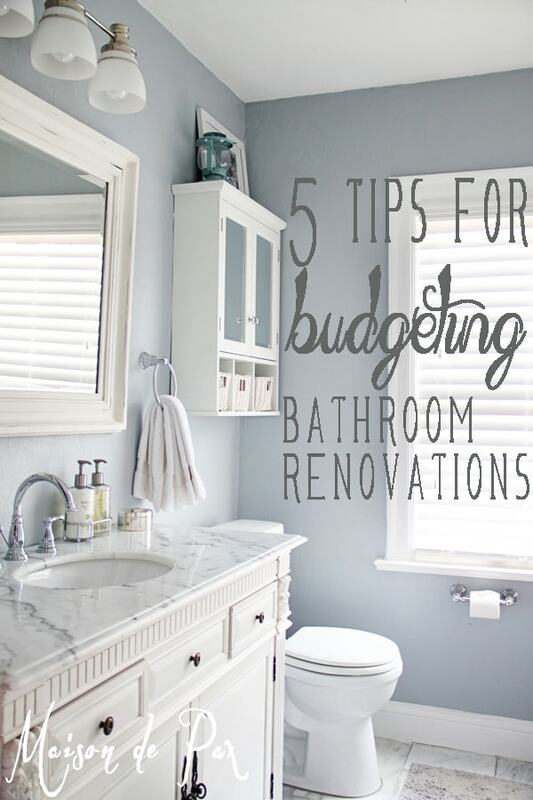 In an effort to move on, though, I’ve combined the last two things I wanted to share: bathroom renovation budget tips and a source list. Balance a few high-end finishes with less expensive ones. 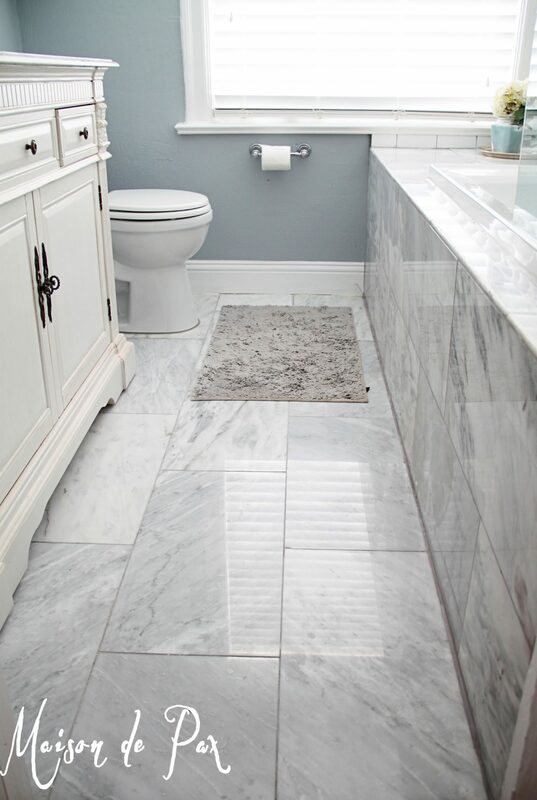 I really wanted marble, and one advantage of a small bathroom is that it wasn’t outrageous to spend $5/sf on our marble floors because there aren’t very many square feet! But also, I was able to balance the cost by using dirt cheap subway tiles on the shower and a very standard (on sale!) white toilet. The marble still gives us a beautiful, high-end look, but the balance of subway tiles and sale fixtures kept the cost down. Use what you already have. The mirror was a black one that used to be outside on our screened porch at our old house. It was the right size, so it got a coat of antique white chalk paint (see here for homemade chalk paint recipes and suggestions) and went on the wall. Free! 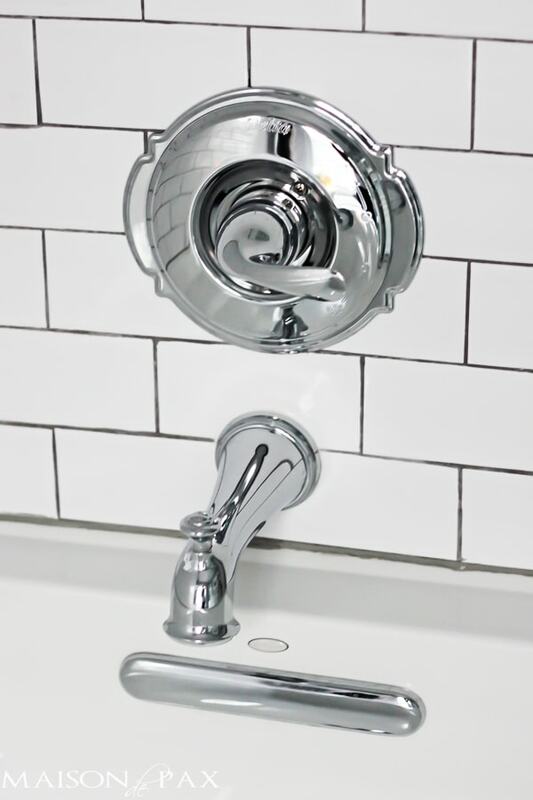 Consider subway tile and chrome finishes. I know there are as many different styles and tastes as there are people, but consider some of these classic touches if you’re willing because… they’re cheaper. And, as it happens, they’re pretty popular right now! 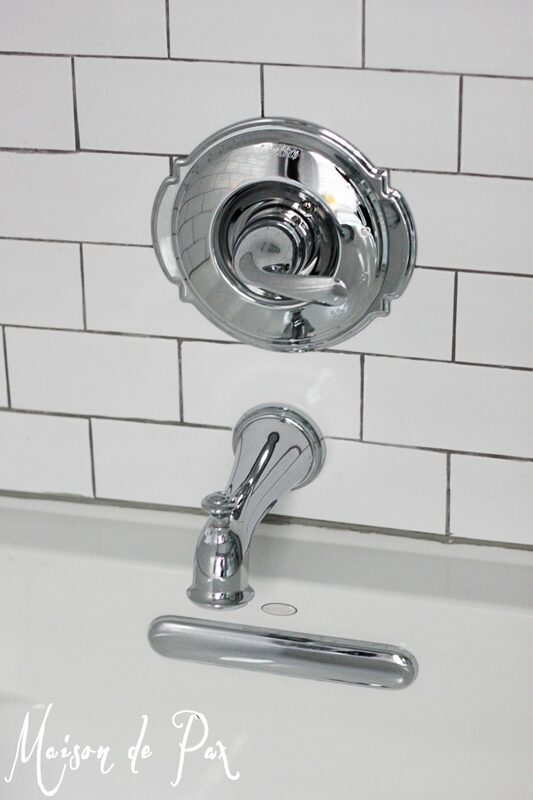 Honestly, go look at some faucets and compare the cost of finishes; chrome is almost always at least $20 cheaper. And that adds up! Don’t be afraid to ask for discounts. My vanity (which we ordered online) came with a crack. Thankfully, it was not a structural issue (it’s on the bottom of the inside – no one will ever see it! ), so I called the company and asked how much discount they would give me. I got almost $300 off!! Be bold! Please let me know if you have any questions not answered here! And don’t miss the tips on designing small bathrooms here. We need to remodel our bathroom and it’ll be a complete gut, down to the studs so we can insulate and update the old window. Then there’s plumbing, fixtures, everything. But anything would be better than we currently have so it’ll be great, no matter what. However, I think our kitchen will be remodeled first (another complete gut). We can vouch for the tip about going with Chrome. 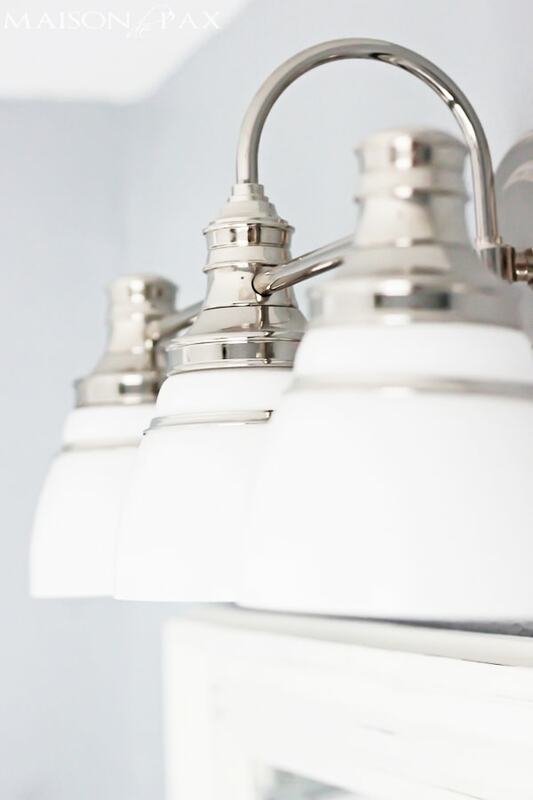 If you’re ok with choosing chrome for your finishes, you will find much more availability, more choices, and lower costs as opposed to going with other finishes such as satin nickel, and oil rubbed bronze. Your bathroom is beautiful! Such great advice too. We will be doing work on our master bath soon, and I will be referring back to this post. Thank you so much, Heather! I’m so glad you like it, and I wish you the best with your own remodel! What is the wall color you used for this project? Hi! I absolutely love your bathroom and you did a beautiful job remodeling it! I found your bathroom picture when I was looking up Krypton by Sherwin Williams. I your pics and went out and bought a sample for my master bath project. When I out it on to test the color, it came out purple grey! I’m so confused as this doesn’t look anything like the colors I’ve seen online. 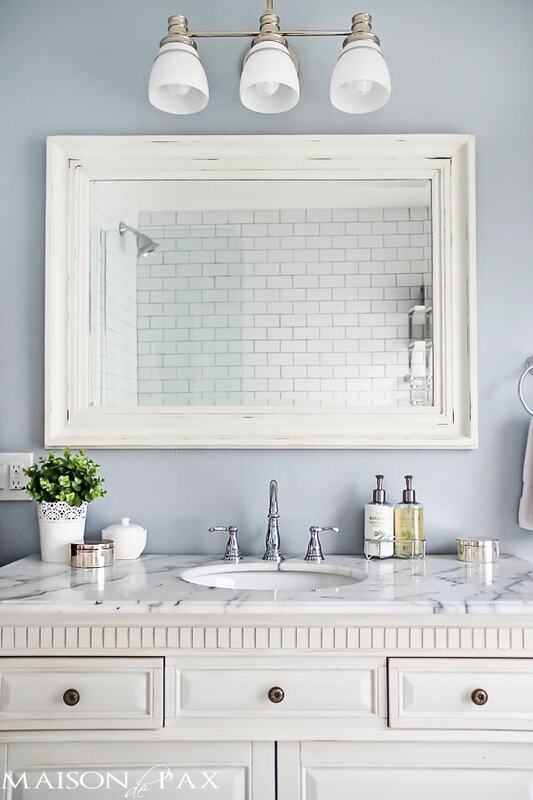 Pottery Barn website initially recommended it for a bathroom and then I found yours and many other beautiful pictures with Krypton and they all appear a grey blue. I was wondering if your color appeared to have a purple grey at first but changed once the room was finished? I also have a white vanity and subway tile, light grey tile flooring and chrome hardware with plenty of light coming in. I’m baffled at the color I’m seeing. Its a beautiful purple grey but nothing like the pics I’ve seen. Guess that’s the nature of paint and pictures too! where did you get the mirror?What size is it? I LOVE your renovation! Could you please share where you found the shelves (above the double towel bar)? Thank you so much, Caroline! We got the shelves from the organization section (near the closet organizers, etc.) at Home Depot. They were prefab mdf shelves and black brackets that you buy separately. We spray painted the shelves chrome. Hope this helps! Thank you… they look wonderful! How do you like your tub? We Have a master bath about the same size as yours. The low 19″ height sounds good for older and younger people to enter and exit the tub. Sorry for the slow reply! We do love our tub. We actually had it built in a little off the ground, though, so that the ledge would sit right under the windowsill. The top of ours is therefore 24″ off the ground, which is great for my husband and me, but might be a little high for an elderly person. If we had built it in flat to the floor and it truly was only 19″ high, I think it would be the perfect enter/exit height. Hope this helps! 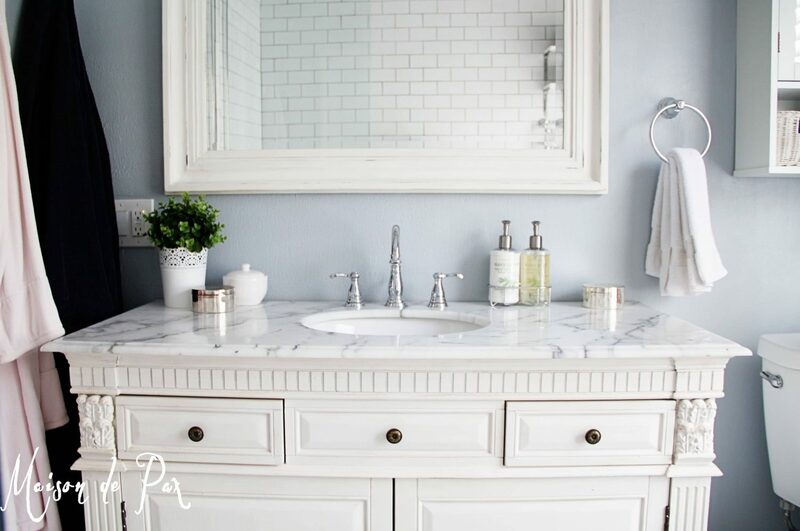 where was your vanity and countertop from? Hi Amy! I think we ordered it from Appliance Connect because they were having a sale at the time, but you can find the same one on Amazon. It’s the first link at the bottom called “vanity.” It came with the countertop. Hope this helps! Thank you so much for including the room dimensions in your post! I gutted & remodeled a kitchen recently and found is so frustrating that most posts do not include the overall room dimensions and with today’s wide angle lenses, photos can be deceiving! Next on my to-do list is one of two bathrooms which is nearly identical to yours in size & layout so your post was very informative — thank you! I want to do a ledge near the tub like the one you have, but the space is only 60” or so length-wise and as you probably know most tubs are 60”. There’s a closet next to that space. Except I don’t think I want to lose much of the closet space. What is the size of your ledge? If you have any advice it would be appreciated. What is the dimension of your bathroom? Any more layouts available? We have a 5X7 but your bathroom seems like it has so much more space. Ours is five feet deep and 7ft wide. With window on the left wall, toilet and sink on the back wall and a tub/shower on the right wall. Is the marble high maintenance? Do you suggest larger tile on the floor in a small bath? Thanks for your help. Our bathroom is 6×7. 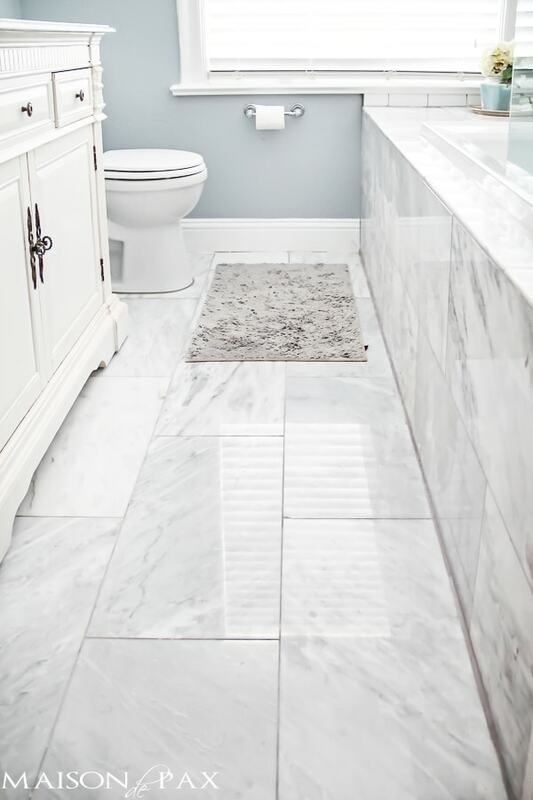 I do think that extra foot can make a big different when you’re working with a small space, especially one like a bathroom that has regular sized fixtures (like a tub). We also have an awkwardly placed window, which is what convinced us to use the glass half wall – and I’m so glad we did because it makes the space feel so much bigger! It does help that our door is in the center of our 6′ wall, allowing us to create a “galley” bathroom, if you will. The tub runs down the right side, and the sink and toilet down the left. 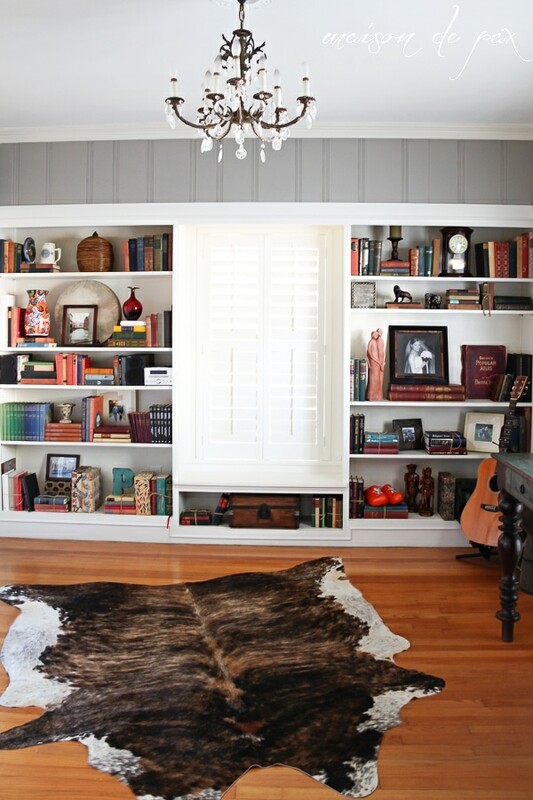 Anything you can do to streamline your space like that might help simplify the feeling of the room (but it obviously depends on door placement). I like the large rectangular tiles for the floor because I feel like it makes the space stretch out in front of you, making it feel deeper – but again, that’s related to our layout. As for the marble, I love it. It has definitely “etched” (changed in shininess in places where water has sat), but I think the patina of the natural stone is just lovely. I hope this helps in some way! Two questions. I know that you used grey grout, but could you be more specific? And how about posting a picture with of the bathroom door and the shower/tub transition? That is the area that I’m having the hardest time picturing in my bathroom. It looks gorgeous. i would really like to know the paint information for the color you used in your bathroom. It is so tranquil and inviting. I really love it! Hi Jenessa, it’s listed, but it’s way down at the bottom of the post. 😉 It’s Krypton by Sherwin Williams in a satin finish. I hope this helps! Rachel, thank you for all the advice. We recently purchased a small house and renovated the one and only bathroom. We purchased a vanity with Carerra marble top.. and I think this was a mistake. It seems to be very hard to keep it.. shiny. Water spots all over stain the marble for whatever reason, and I am having it repolished only after a month after we installed the vanity. What a pain! Can you share how you feel about your vanity after some time? Do you have water spots all over or perhaps there are different ‘types’ of Carerra marble 🙁 I’m so disappointed… Please help! Oh Sarah, I’m so sorry to hear that! I am no marble expert, but my understanding is that it does depend on if/how your marble is sealed. It also depends on whether it started as a polished (shiny) or honed (more matte) finish. All marble will have “etching” from water, though. While ours didn’t bother us AT ALL, I think it depends on two more factors beyond the sealant or the polished/honed finish: lighting and personal preference. The direction your light is hitting your counter can either hide or highlight the water spots, and some personalities like the imperfections, while others it drives them crazy. I actually saw two great post on marble kitchen counters by French Country Cottage and Lilacs and Longhorns, both of which may give you more knowledgeable feedback than I’m able to offer. I hope this helps in some way, and I’m so sorry to hear of the trouble you’re having! What are the dimensions on your glass? I’m not sure, as we have since moved from that home. I would guess that it was about 3′ wide and 5′ tall. Hope this helps! Rachel, I love your site. I’ve found it very helpful and inspiring. Quick question for you. I see that you installed marble floor tiles in your master bathroom. Did you find them slippery? I am contemplating installing polished marble tile as well but that was my only concern. Thanks in advance for your reply! I’m so happy I happened upon a post on Pinterest and found you. Look forward to your reply and future posts! I’m so glad you found me, Michelle! Welcome. 🙂 I was very happy with our floors, but we had a very small space, so the 2’x3′ bath mat covered at least half of the walkable floor. If it was a larger space, I would be more cautious about it. I never slipped, but it’s certainly more slippery that a rougher, porous stone would be. Another option would be smaller tiles so that there was more grout for grip. I hope this helps! Rachel, I stumbled on this post on Pinterest. Beautiful! I have the same layout in the master bath of my condo and have been planning a remodel in my head. 🙂 Your color scheme and materials are exactly what I am planning. I have a large shower with an ugly fiberglass surround where your tub is (there is currently no tile) and was thinking of converting it to a tub/shower combo with a glass door. Where your ledge is I have a linen closet. Storage space is at a premium in a condo so I’ve been debating whether to keep it. I still haven’t decided but your ledge is a lovely option. Thanks so much for sharing. I will definitely be stealing some of your ideas and the pics you posted will be a great help. I will be following you on Pinterest for more great ideas. Have a great summer! I am so glad you found it helpful, Alison! All the best for your remodel!! Love, love, love the bathroom remodel. The color scheme and utilization of the space is awesome! I’m planning a new bathroom and don’t love the 4-in backsplash that comes with the vanity, but also don’t have the layout of money to tile the wall. I really want to leave it like yours – painted wall, no backsplash. 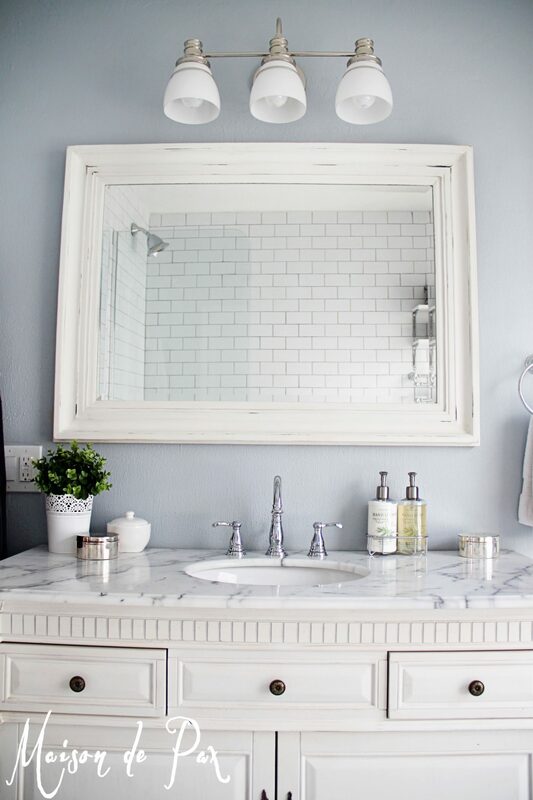 Have you had any issues with water or cleaning the bit of painted wall right at the vanity counter? I totally understand your concern! We don’t live in that house any more, but we did live in it for two years after we updated the bathroom, and we never had a problem on that wall. We did, however, use a high quality paint in eggshell; I think that’s important so that the water doesn’t leave spots. I hope this helps! Thank you. This post was very helpful. The single bathroom in my old house is similar to what we see in your former home. Your ideas are superior: practical and tasteful. As best I can, I’m going to steal them. It was especially helpful that you included the renovation cost, which may have increased in the last three years but still gives me a reference. I feel less nervous about this project. Thank you again. I have watched one too many episodes of “fixer upper” and took a sledgehammer to our bathroom. Demo day sounded so fun (and it was!). My husband was not really expecting that as we had just demoed a bedroom to the studs including pulling out all the lath and plaster and finding out we had to redo the rafters on our 155-year-old farmhouse. It was a lot already. So demo day is fun but I dont have a team to fix it when I am done. I have been looking for six months how to redo it. And this was it!!!! 🙂 I have the exact same layout but the shower will be up by the window. I have struggled to decide how to enclose the shower and this was 100% the answer! 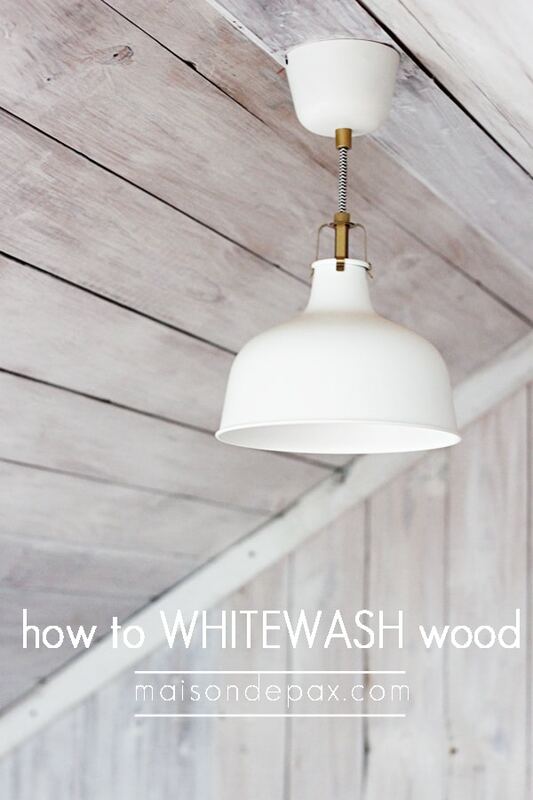 I am soo excited to have found this, you saved my remodel weary brain! Thank you so much! I need help as I’m confused. The email I received about your bathroom renovation shows a beautiful picture of a vanity with navy cabinets, gold hardware, oval mirrors, etc. However, when I click on the article about the reno, I see a completely different bathroom; one with a marble floor, ivory cabinets, etc. Where is the bathroom with the navy cabinets? Thank you for your time and response. Hi Connie, I’m so sorry for the confusion! 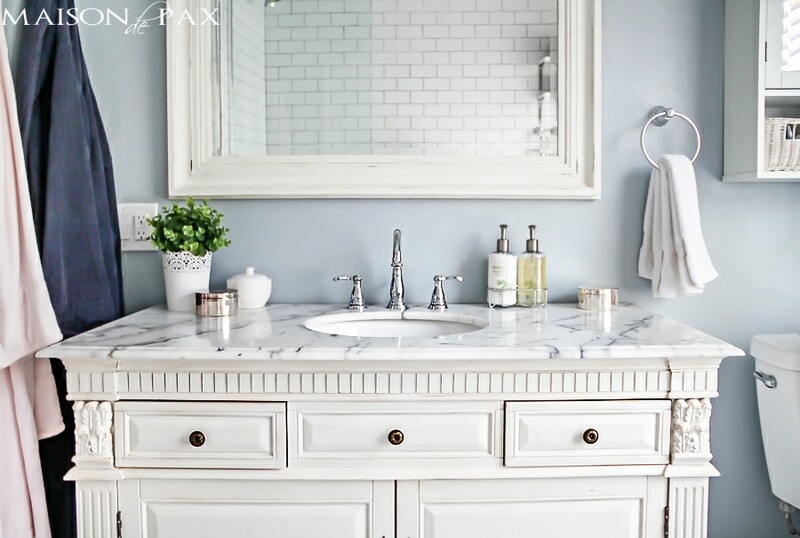 The image in the email should have been linked to this post: https://www.maisondepax.com/2017/08/navy-white-bathroom-remodel-source-list.html but it doesn’t look like the linked image is working. Technology… 🙄 I hope this helps! I liked that you pointed out that using subway tiles and chrome plated fixtures can look really nice. I do like the classic look that design gives a bathroom. It also is nice to know that it is a cheap design to do. I want to remodel my guest bathroom this summer, and my budget to do so is pretty small. 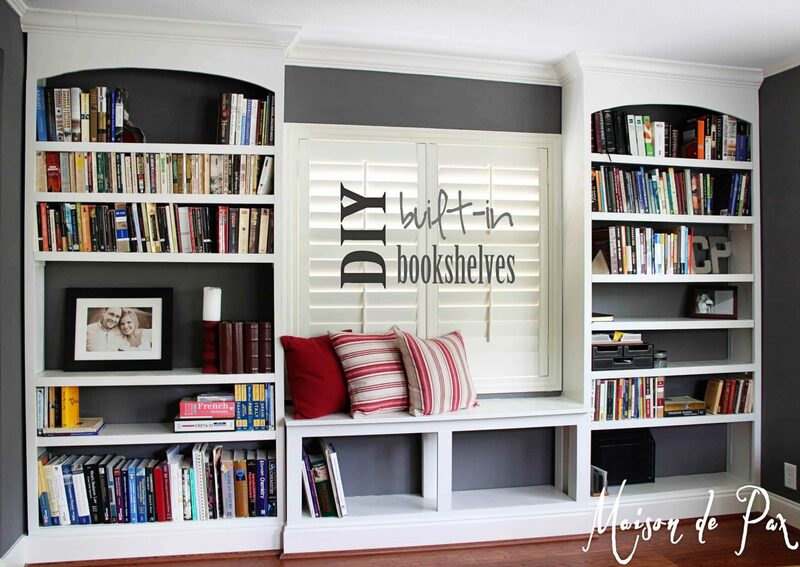 You can do so much on a small budget, especially if the space is small! 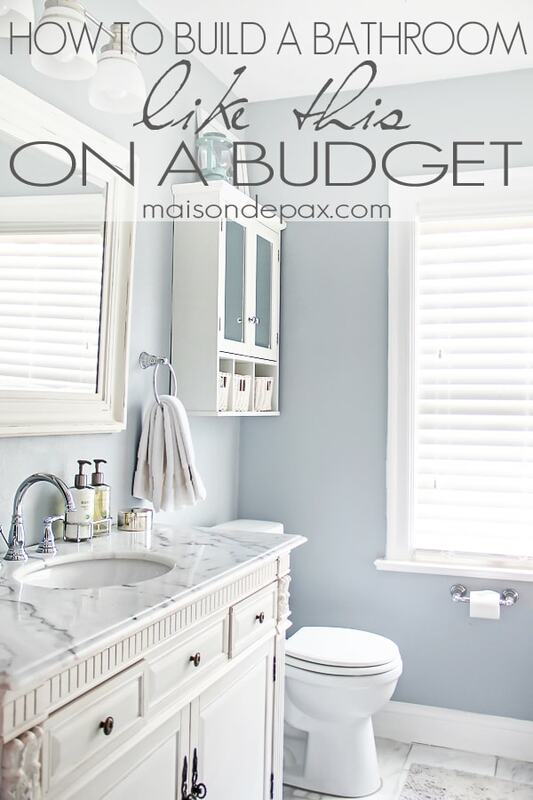 I just wanted to thank you for these tips for budgeting and changing a master bath. I like that you mentioned you should still use what you have in the bath. This seems like a great way to save money. Plus, you’ll still be putting items in the bathroom to good use instead of getting rid of them. Glad it was helpful, Taylor! I do like to reuse what I have when possible. Could you please tell me what color you used for trim and the vanity? This is a super look! Thank you, Jan! The vanity was ordered in that color and the trim is Sherwin Williams Extra White, straight out of the can! Hope this helps. Excellent job! 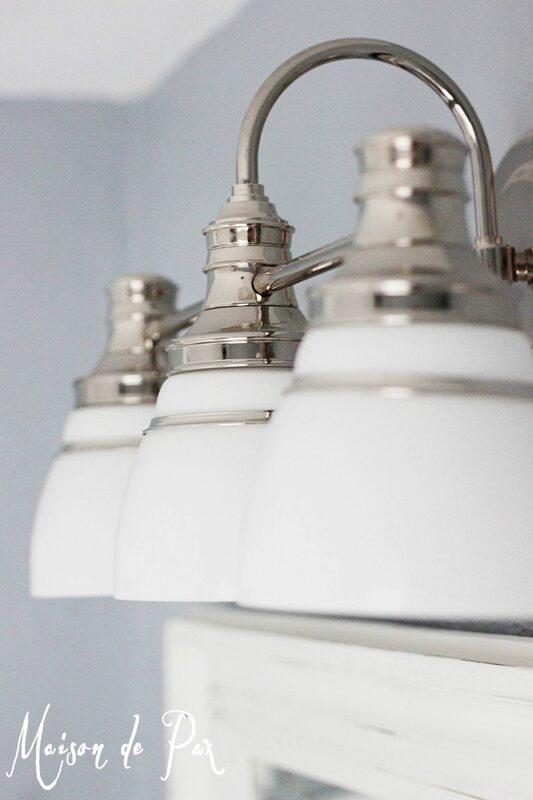 I have my own home improvement company in Phoenix, Arizona, and for some projects we have done the same as you: using subway tiles and chrome-plated fixtures. They really bring the bathroom a sleek and different look and vibe, especially when the client’s budget is not very permissive, because it allows us to deliver a great result while keeping the costs down. Agreed, we love subway tile around here! Thanks, Mark! The home that I will be moving into here soon is in need of a bathroom remodel. Now the toilet is new but all of the other components do need to be changed. Anyways, the tile and the cabinets got to go. I do like what you said about using a cheaper option in some places and more expensive things elsewhere. Not too sure which to do on mine but we will see! Hope this was a helpful resource!